My thoughts still flash back to my recent carefree life jumping from one adventure to another, from dusty trails, small medieval villages, to the big blue sea, dolphins and divine beaches full of wildlife. Remember my spring break holidays on Lošinj and Cres? 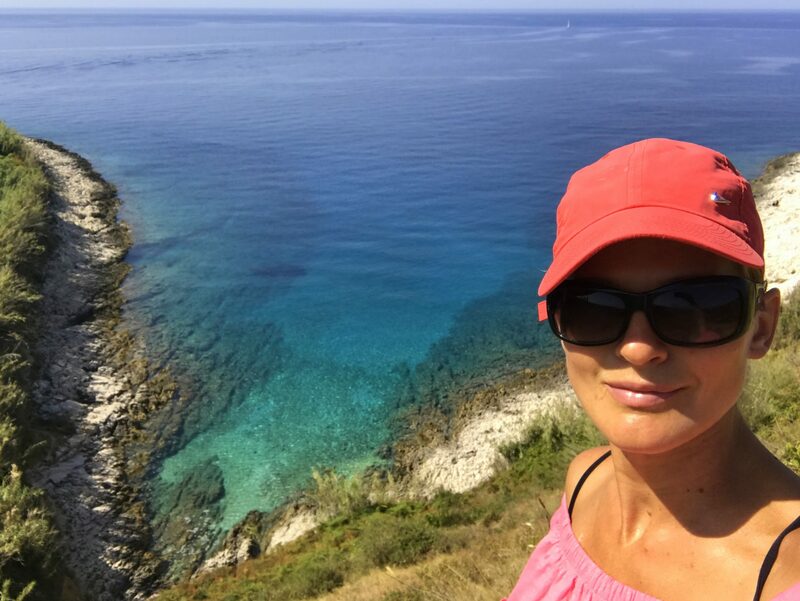 My family and I returned back to Lošinj in July, a perfect 31-km long green Croatian island in the Mediterranean, to unplug and spend relaxing yet active summer holidays far away from the crowds. This time by boat. As always, our base was in a small settlement of Nerezine just underneath Televrin, the island’s highest peak, on the eastern side of the island. While I don’t mind the beaches there and our kids tend to insist on staying there with their little pals, we adults prefer wild and natural beaches instead. 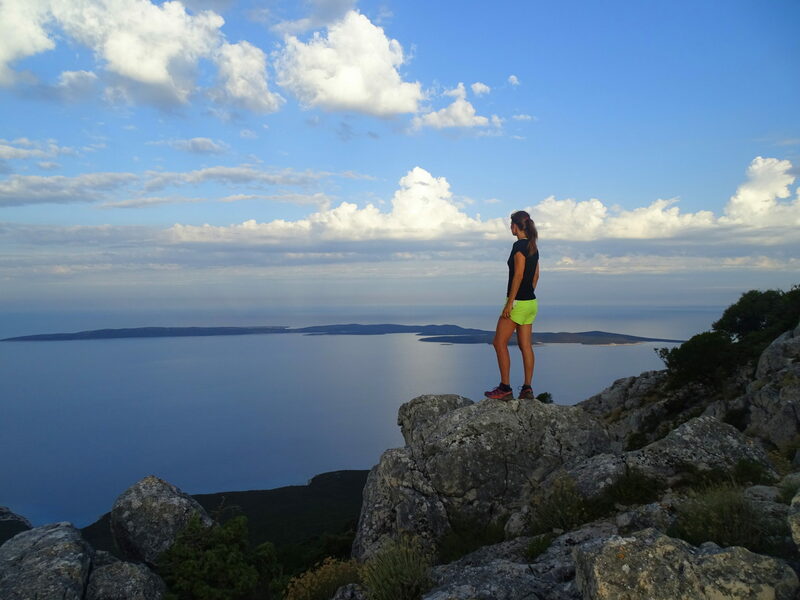 Therefore, after packing some food, water and beach stuff in the morning, we usually left for daily trips around Lošinj and its neighboring islands of Cres, Ilovik, Susak, Olib, and Silba. 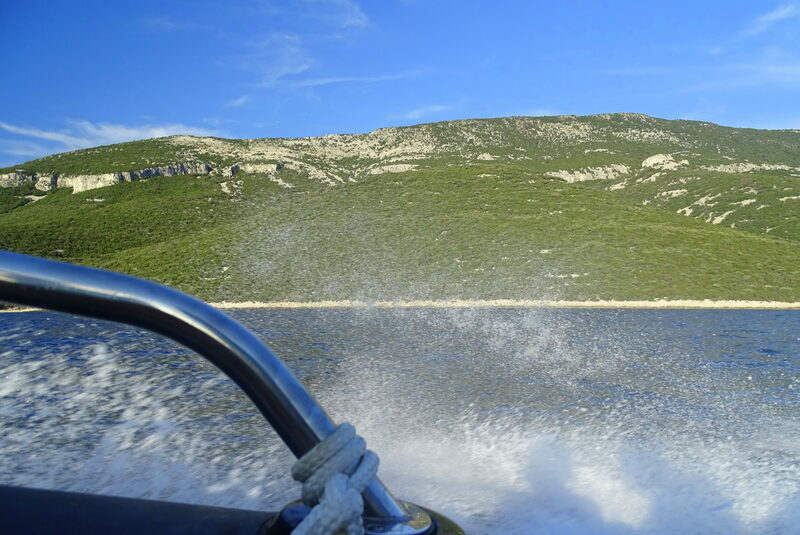 Here, I give you our five best boating trips this year. Speaking about Televrin, 588m, early morning views are beyond epic. Just 6 kilometers away from Mali Lošinj, the island’s main town and one of the biggest tourist centers in the Adriatic, Uvala Liski (Eng. Liski Cove) is its complete contrast. Untouched by mass development, it’s a remote and beautiful small place with a big soul. Accessible only by boat or foot (you can leave your car on a small parking lot near the Lošinj airport), one could argue the small settlement is what life by the beach looked like 50 years ago. With exactly two guesthouses (very pretty though), a few small piers and bouys for boats in a wind-protected bay that sinks some 500 meters into the shoreline, Uvala Liski is perfect for water activities like swimming, snorkeling, SUPing, and surfing, provided you bring your own gear. Guess what, the view from the beach is just fantastic as it looks directly over Osorščica and its highest peak Televrin. 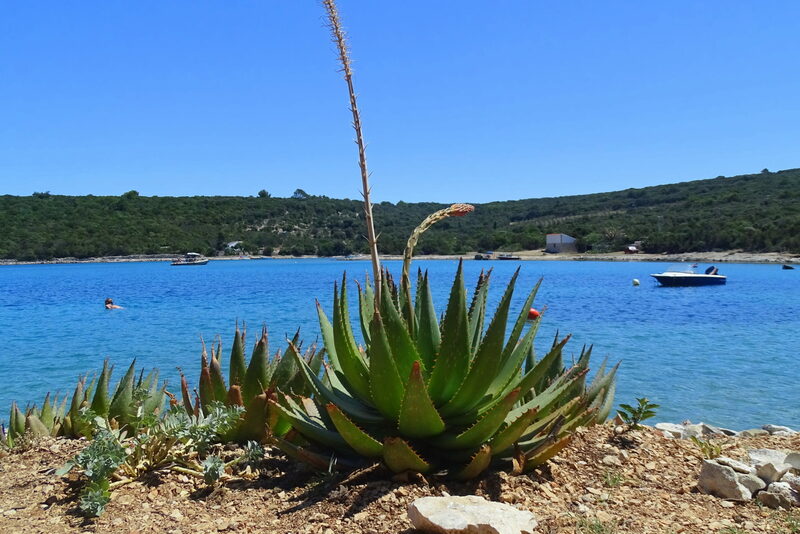 Aloe plants, clear blue water, boats and a few happy kids jumping into the water. That’s Uvala Liski. While Uvala Liski makes a great stop, there are countless natural isolated beaches along the western coast of Lošinj, accessible solely by boat. If the shoreline on the western side of Lošinj is mostly rocky, the beaches along the coast are usually small pebbles with bush offering natural shade during the heat. Don’t forget these beaches are wild and completely secluded, therefore a curious visit from the bush shouldn’t come as a total surprise. It’d be either a deer, goat, sheep, or even a wild boar. Robinson Crusoe-like life along the western coast of Lošinj. 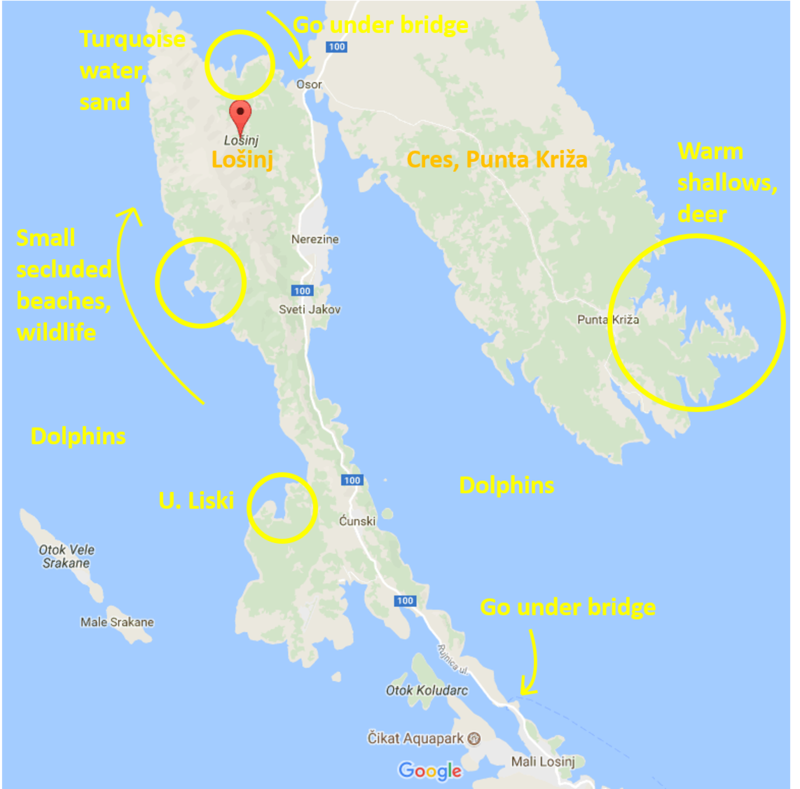 We did a whole loop encircling the Lošinj Island; first along the eastern coast from Nerezine to Mali Lošinj, then underneath the bridge to the other side of the island and back up north along the western coast to explore countless little wild beaches. With a bridge connecting two Croatian islands, Lošinj and Cres lie close to each other. The benefit? You can have the best of both islands; more beaches to explore, more trails to walk, and more roads to cycle on. Looking for a fairytale-like beach? 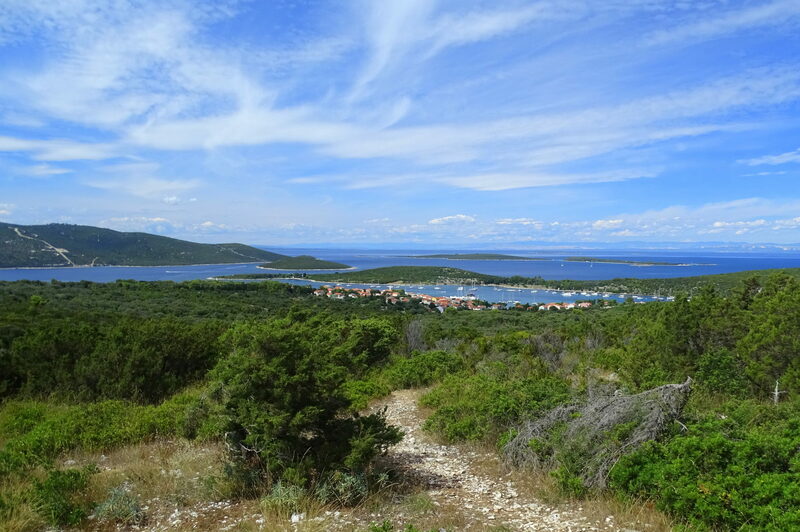 Then drive to Punta Križa, the most southern tip of the Cres Island. Warm sandy shallows indenting this stretch of wilderness, deer roaming the bush freely and curiously peeping towards human visitors, and plenty of shade. 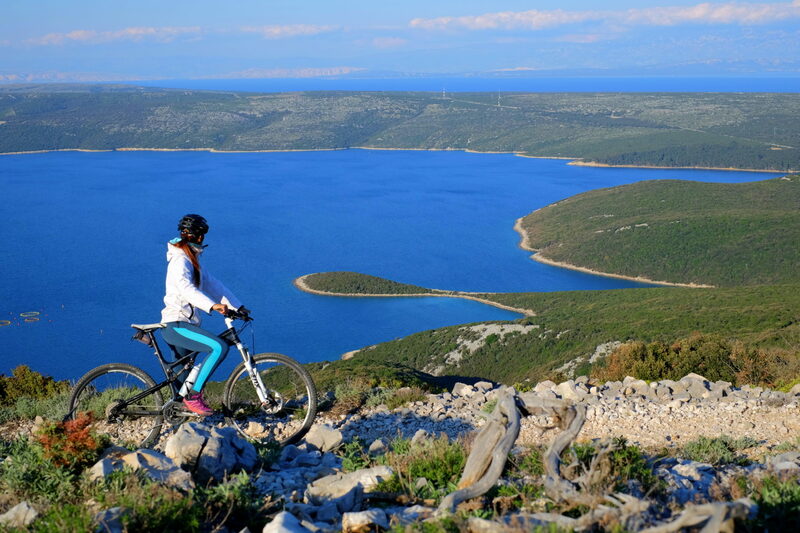 We’ve always been there by boat, nevertheless, a few stunning beaches can also be reached by foot or a mountain bike from the Punta Križa village and the Baldarin camp. Nicely protected by the wind and waves, those coves along the Punta Križa coast welcome boats and yachts in case of sudden weather traps. The striking cornflower blue water, sandy and pebble beaches, and no other noise than cicadas singing. There’s spacious bush on the shore and inside the bush Robinson Crusoe-like improvised seats and tables and round-shaped rocks just suitable for a portable grill. Not many boats come stray to these secluded wild beaches, thus solitude and divine blue water create Olib’s unique charm. While the kids played in the shallows, my husband grilled chicken skewers and ‘čevapi’, the traditional Balkan meat rolls made of minced meat, while I prepared vegetables and bread for one of our many lunches in the wild. The shallows in the northern part of Olib make a perfect stop for a swim and fishing, obviously. When the water is just right, the turquoise sea by the completely wild northern stretch of the Olib Island is my top choice for swimming. I literally swim for hours. A white sandy beach and turquoise blue water. One of the boaters’ favorites in that part of the Adriatic, Uvala Pržine (Eng. Pržine Cove) is almost a standard for a few-hour swim if you’re passing by. What I love about Ilovik is the set of marked trails over the island connecting the famous beach with the Ilovik village, namely the only settlement on the island with 80 inhabitants, while you can also explore the highest point Dida at 95 meters for a nice view over the island. Good news for non-boaters? 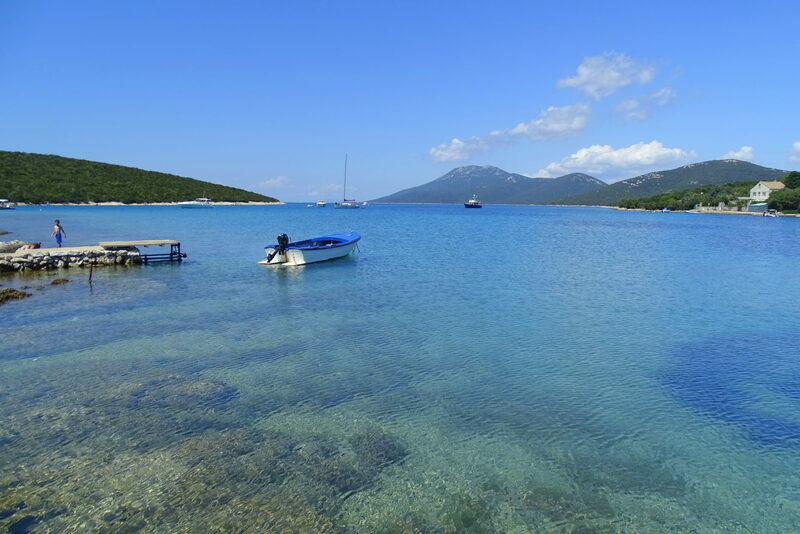 Uvala Pržine is also accessible by foot (about a 30-minute walk from the Ilovik village), while the island is accessible either by ferry (see timetables) or taxi speed boat from Uvala Mrtvaška at the most southern tip of Lošinj. Bridge kick-overs are super easy in that soft white sand. The Ilovik village from the island’s highest point Dida. As pointed out by the locals (about 100 living on the island throughout the year), Susak is the kind of place to either love it or hate it. We love it. It’s small, simple, and chaotic, yet so relaxing I could easily see myself grow old there. 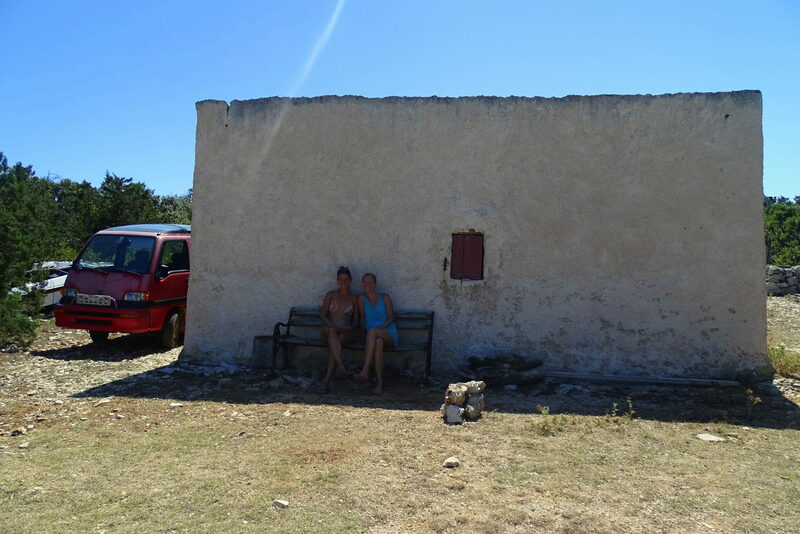 Time stops on Susak. There’s a long sandy beach with warm shallow water that doesn’t end for some hundred meters, deckchairs and umbrellas for daily rents at 70 Kunas (about 10 Euros), pedal boats for 50 Kunas per hour (with nobody actually timing you), a small shop, post office, bakery and a few restaurants and coffee shops in both Dolnje and Gornje Selo (Eng. Lower and Upper Village) combined. 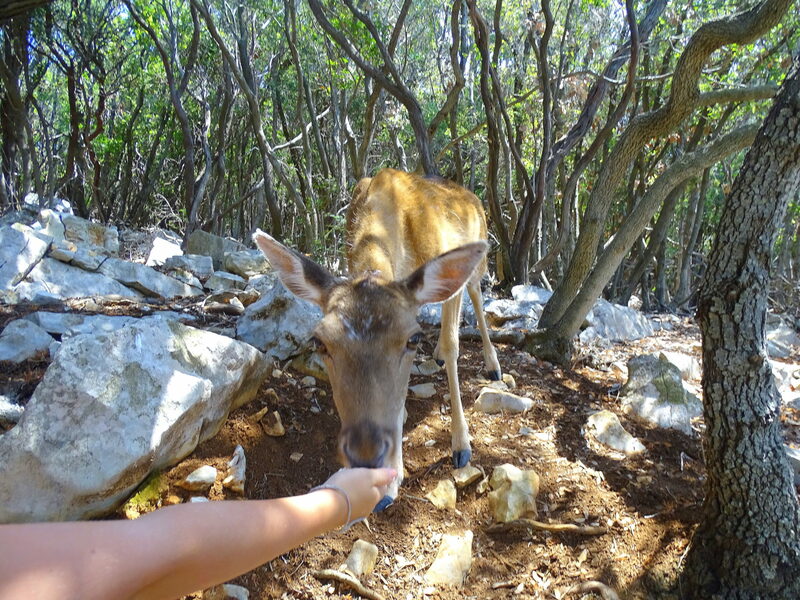 What you can’t find on Susak? There isn’t a single car on the whole island or a hotel as a matter of fact. Good news for non-boaters? A ferry connects the two islands, leaving daily from Mali Lošinj to Susak (see timetables) at 2.30 p.m. and 1 p.m. on Sundays, and a hovercraft returning from Susak to Mali Lošinj at about 8 p.m. daily (see timetables) except on Tuesdays. Expected cost? 16 Kunas one-way for the ferry for adults and 8 Kunas for kids, and 20 Kunas for adults and kids 5+ for the hovercraft. If you have kids, then an afternoon visit to the Susak beach is almost a must. 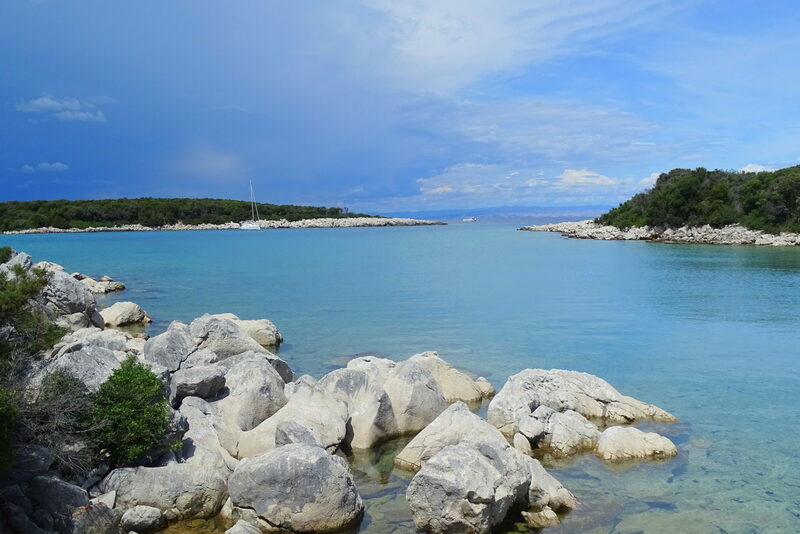 Nicknamed the “jacuzzi beach” by our kids, the main beach on Susak is sandy with the shallow water as warm as 30-40 degrees C.
The whole island is sandy and overgrown with bamboo. 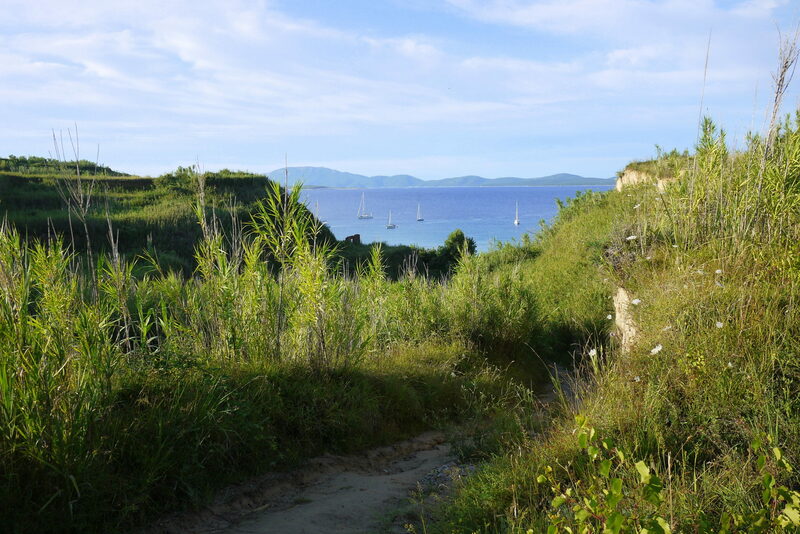 For those who don’t mind a short walk in the sun, there are a few stunning wild beaches along the coast of Susak. This one in particular is located on the western side of the island. Regardless of how small the island is, it has a playground for kids, as well as a football and volleyball playground. With warm and sunny days ahead, I encourage you to go out. Get creative. Explore the unknown, even if it pushes a touch away from your comfort zone. Maybe you’ll find pristine beaches, inspiring wildlife and lonely tracks. Maybe you’ll be chased away by a thunder. It doesn’t matter really as long as you all enjoy the adventure. For rooms, apartments and holiday houses in Croatia, you might want to check ViaCroatia and Hrvaška Info as they are both super competitive!